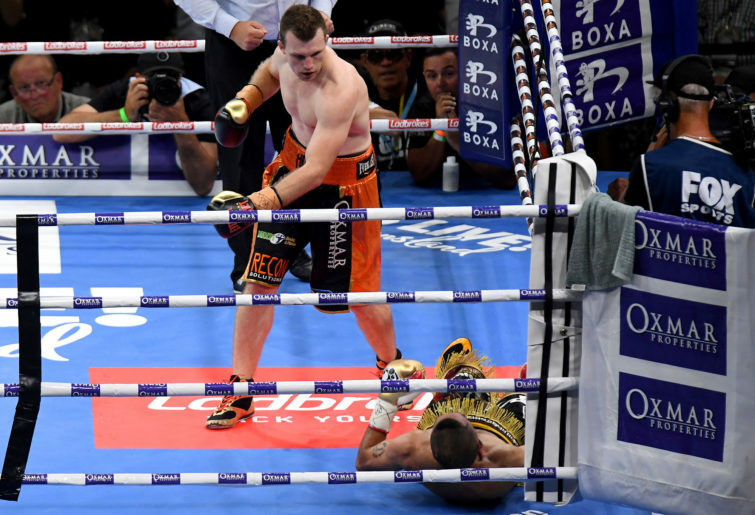 2018 saw several Aussie boxers give it everything against some of the world’s best, but ultimately come up short. 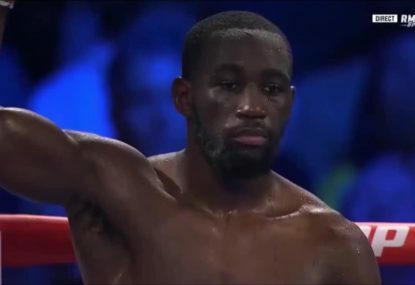 Slick American Terence Crawford took Jeff Horn’s WBO world welterweight title in Las Vegas in June with a ninth-round stoppage. Featherweight Luke Jackson suffered his first defeat in Belfast in August. 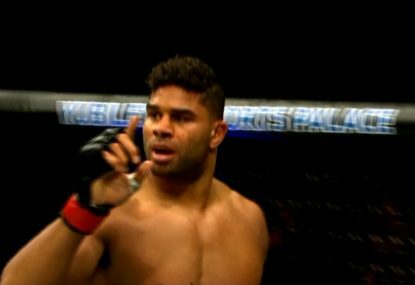 He was stopped in the ninth against Ireland’s two-time former world champion Carl Frampton. Bantamweight Jason Moloney came agonisingly close to snatching the IBF world title, losing a split decision against unbeaten Puerto Rican Manny Rodriguez in Orlando in October. Super welterweight Michael Zerafa was gutsy in going the distance against former world champion Kell Brook in England last weekend, losing a unanimous decision. 2018 also saw the retirements of some of Australian boxing’s biggest names. 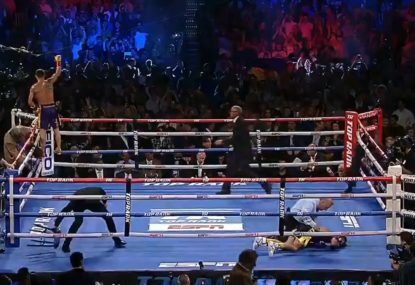 Two-time former WBA super middleweight champion Anthony Mundine was put into retirement by Jeff Horn late last month with a first round KO at Suncorp Stadium. He finished with a 48-9 record, 18 years after turning his back on his NRL career. Former IBF featherweight world champion Billy Dib (43-5) hung up the gloves after going down via a unanimous decision in a super featherweight world title shot against American Tevin Farmer in Sydney in August. Super lightweight warrior Lenny Zappavigna (37-4) also bowed out of the sport after being stopped in the 7th against America’s Alex Saucedo in Oklahoma in June. In terms of young Aussie fighters starting to make their way on the international stage, lightweight George Kambosos Jr (15-0) and super middleweight Bilal Akkawy (19-0-1) are two to keep an eye on. Both have learned from the best. Kambosos has been a sparring partner of Filipino legend Manny Pacquiao, while Akkawy has done the same with Mexico’s world middleweight champion Saul ‘Canelo’ Alvarez. The following divisions are arguably the strongest in world boxing at the moment, which should lead to some great matchups in 2019. For the first time in a long time, there are three unbeaten heavyweights who have genuine claims of being the best in the world. England have two of them in Anthony Joshua and Tyson Fury, and then there’s America’s Deontay Wilder. Joshua has the WBA, IBF and WBO belts (formerly held by Fury), while Wilder is the WBC champ. 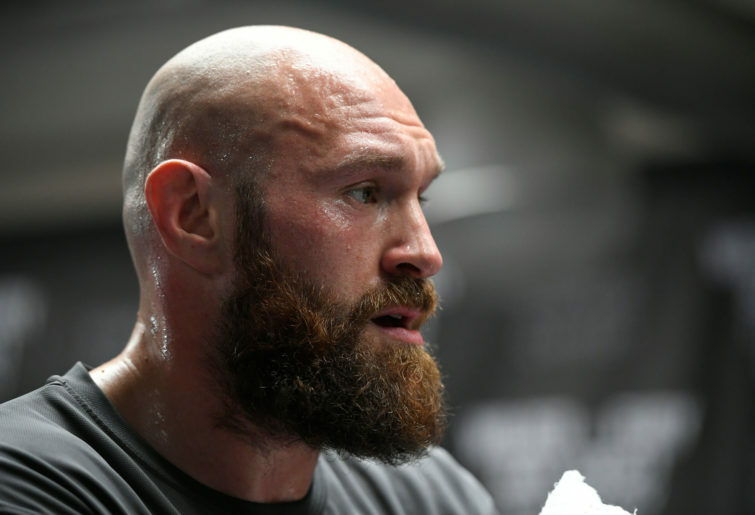 Fury famously dethroned legendary Ukrainian Wladimir Klitschko in Germany in 2015. He was later stripped of his titles for failing to defend them. 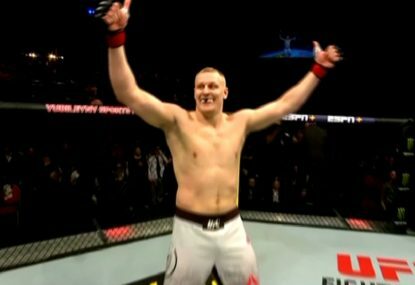 The now 30-year old Englishman was under investigation for doping at the time and was also ruled medically unfit to fight, citing depression. Fury and Wilder fought out a thrilling draw in Los Angeles two weeks ago. 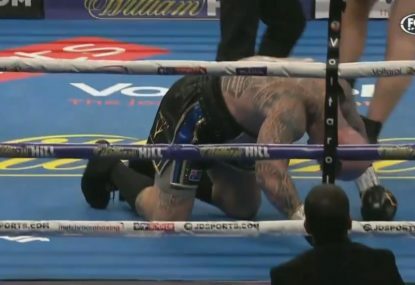 Wilder dropped Fury twice, but the big Englishman boxed cleverly to rack up the rounds. Unbeaten and undisputed Ukrainian world cruiserweight champion Oleksandr Usyk is also planning to step up to the heavyweight division to further boost the depth of talent. Canelo Alvarez inflicted Gennady Golovkin’s first career defeat and took his WBA and WBC belts when he won a majority decision in their rematch bout in Las Vegas in September. The pair had fought a draw a year earlier. 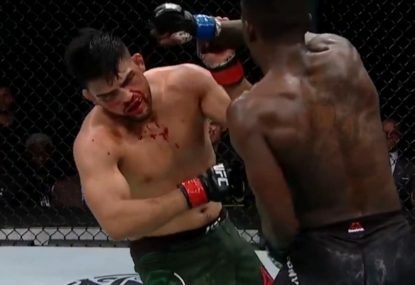 A third bout in 2019 remains a strong possibility. America’s Danny Jacobs holds the IBF belt and a potential title unification bout with Alvarez next year is another enticing prospect. This division has three exciting and unbeaten belt holders. American Jarrett Hurd holds the WBA and IBF straps, while fellow American Jermell Charlo has the WBC belt. Young Mexican Jaime Munguia is the WBO champ, and Australian-based Irishman Dennis Hogan is the number 1 contender for that belt. Jeff Horn is considering stepping up to either the light middleweight or middleweight divisions next year due to his ongoing struggle to make the welterweight limit. Unfortunately there’s a wealth of talent in both divisions, so either one would be a tough road to another world title. Four Americans are battling it out for supremacy at welterweight, and three of the world title holders are undefeated champions: Keith Thurman (WBA), Errol Spence Jr (IBF) and Terence Crawford (WBO). Shawn Porter has the WBC belt. Thurman has had a long layoff with injury though and he’s vacating his WBA belt in January. Manny Pacquiao and Adrien Broner will fight for that title in Las Vegas. America’s Mikey Garcia and the Ukraine’s Vasyl Lomachenko are the two dominant world champions in this division. A unification bout between them would be a genuine classic, but Garcia has chosen to step up two divisions and challenge Errol Spence Jr for his IBF world welterweight title first. That bout will happen in March in Arlington.